Welcome to our web site! We invite you to come on in and spend a little time with us. At this site, we'll introduce our business and our family. Click the tabs at the top of this page to navigate through the pages. If you would like to see a picture better, click on it, and it will open larger in a new window. 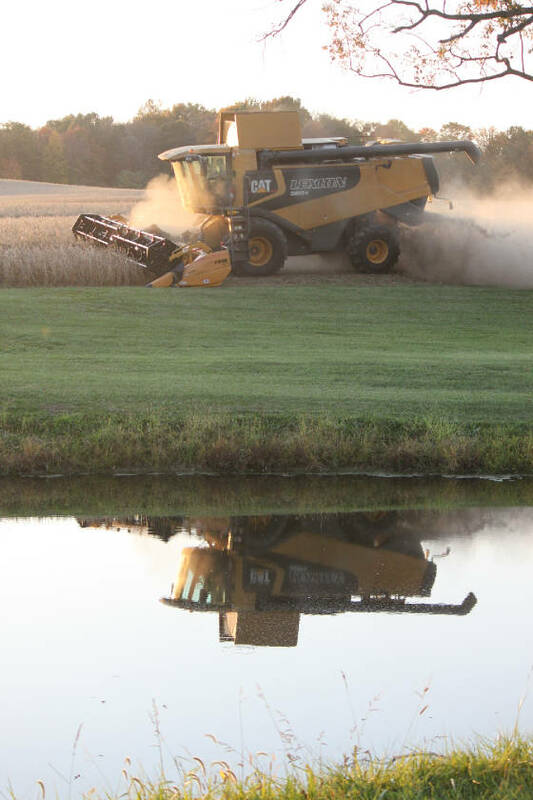 Orrson Custom Farming Ltd. , is a family partnership of Jim and Jon Orr in Apple Creek, Ohio. I have started the 2011 blog and have left the 2010 and 2009 up for those who are interested. turned on, as each site has a midi or mp3 specially chosen for it. When I could find them, I have included the lyrics. Enjoy! (when I remember) by Suzy Orr. Jim, Jon, Jennifer, and Becca all have degrees from OSU as do many other family members. the time to visit with us. "People sleep peaceably in their beds at night only because rough men stand ready to do violence on their behalf "
Please get in touch to offer comments or ask about our services. However, I do like some of his songs. This song "The Dance" is one I like. There are so many times in life that a person has to make choices. often if you had gone a different direction, you would have missed "the dance".